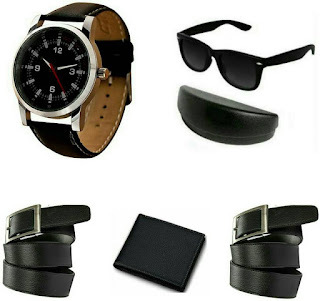 Flipkart Combo Offer for men. Get 5 Products which is worth Rs 1999 Only at Rs 379. 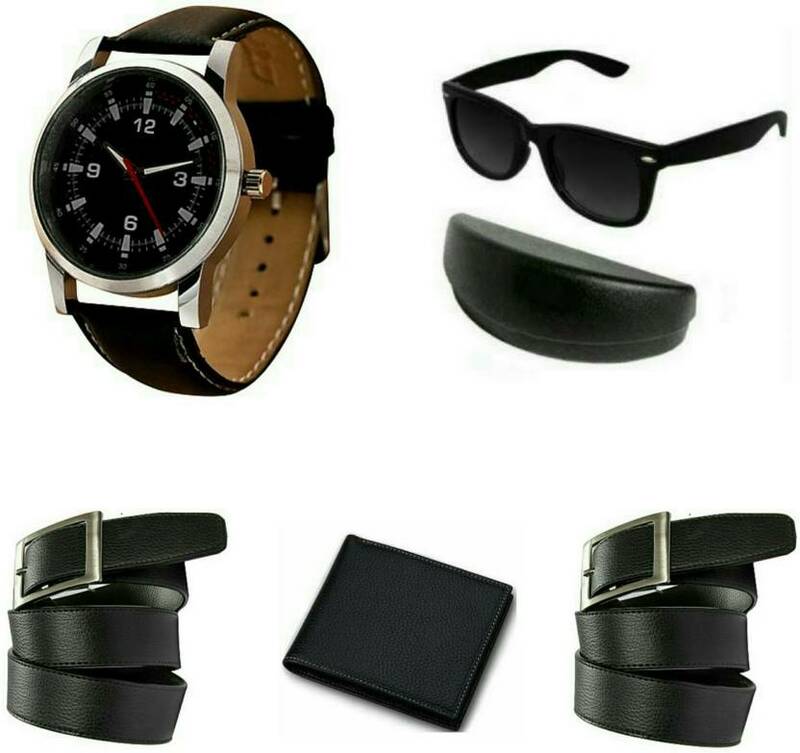 In this offer, you will get 2 leather belts, Premium Quality Wallet, The pair of Sunglasses, and Branded Wrist Watch. This is limited time offer with limited quantity. As you can see the above image, all items that you'll get is Black colored. By the way, You cannot miss this offer by just not compromising your choices. If you download Flipkart App then you can also get some cashback or discount offer. Create a new account if you are a new user or Just login to your Flipkart account. Now, Click on Buy Now Link to buy this combo offer. If you're applicable for all of the above offers then you can get this combo pack Around at Rs 300.